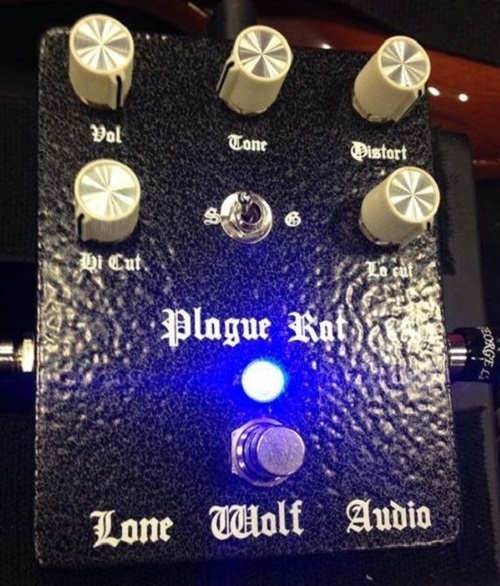 The Plague Rat is a highly tweaked and refined version of a classic distortion pedal you all know and love. Utilizing a superior stock of op amps, hand picked clipping diode pairs, and giving the user complete control over the treble and bass side of the distortion spectrum to cut or boost frequencies to suit your tastes. Lone Wolf Audio are handmade in the Lone Star State.